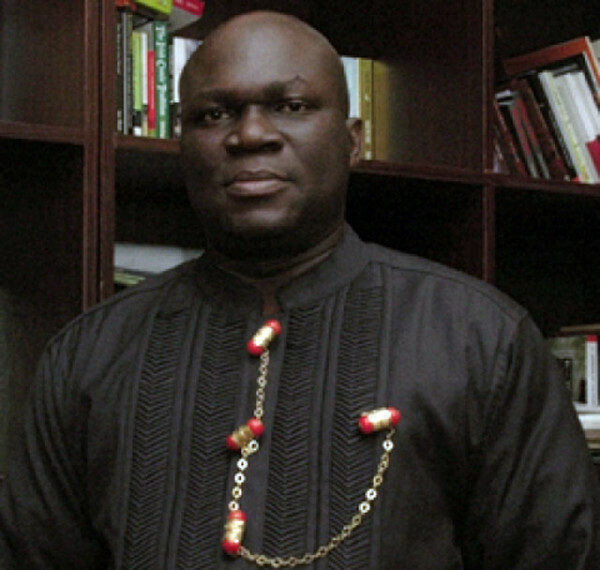 Former presidential Aide and legal luminary Reuben Abati has penned another interesting piece regarding the most widely discussed phenomenon in Nigeria "Restructuring and Secession" as well as Nnamdi Kanu and Ipob agitation. But the point I have always made stands proven: that Nigeria remains an unanswered question, more than a century after the amalgamation of 1914. Before and after independence, virtually every government has had to deal with this same question, viz, the national question. Brought together in an unwieldy, unequal and uneven union by the British, Nigeria’s about 400 ethnic nationalities have been unable to transform into one nation, one union, a community of people and communities driven by a common purpose – to create a united, progressive nation, under the umbrella of patriotism and the common good. We have fought each other since 1950 to date, we did not even all agree on independence, and since that happened, we have been at each other’s throats. We ended up fighting a civil war, and from all indications we are at this moment, seemingly preparing for another one. The laziest excuse is that the British caused all our problems, but more than 50 years after independence it should be clear enough that we are the source of our collective agony. Other countries who were at the same level with us in 1960 have since moved on and developed into better nations despite their own internal contradictions. Nigerian leaders have perpetually lived in denial. Every step forward has resulted in our country taking two steps backwards. A combination of the big-man-syndrome, the too-know syndrome, the us-before-others-mentality, ethnic politics, sectarian politics, greed, cronyism and a terrible leadership recruitment process has turned our process of nationhood into an unending struggle. Today, fewer Nigerians believe in the idea of Nigeria. In 1977/78, the Constituent Assembly whose deliberations resulted in the 1979 Constitution almost ended with fisticuffs. The 2005 National Political Reforms Conference did not fare better either, as the Niger Delta conferees staged a walk-out and the politics of Third Term or no Third Term sabotaged the entire process. In 2014, the outcomes of yet another National Conference could not be followed through because a succeeding administration declared it would not even look at the report. At every stage when it looks as if this country is faced with an opportunity to address the national question, certain interest groups erect the roadblocks of denial and wishful thinking. No country can live perpetually in denial. This is the message of former Yugoslavia and the Soviet Union and their disintegration. As for the military, they merely worsened Nigerian politics. Fifty years after the outbreak of the civil war, we now have a man called Nnamdi Kanu. He may well end up as Nigeria’s nemesis. He is the most frightening product of our many years and acts of denial and he may well throw the country into a nightmare worse than Boko Haram, if care is not taken. He started out as the leader of a group called the Indigenous People of Biafra and as director of Radio Biafra. He and those who bought into his rhetoric of secession and the renewal of the Biafra dream organized protests across the world, and they looked, from afar, like a group of disgruntled Nigerians in diaspora. In the foreign lands where most of the members lived, they looked like persons over-enjoying the freedom of speech from a safe distance. They didn’t appear to have the force of MASSOB, which is locally based and seemingly more malleable. The renewed struggle for Biafra that Kanu and his crowd talked about could have been nothing more than an internet and television revolution. But everything went wrong the moment Nnamdi Kanu chose to visit home and he was arrested, detained and taken through a court trial. Whoever ordered Nnamdi Kanu’s arrest and prosecution did this country a bad turn. Kanu is a character that could have been better ignored. His trial and travails have turned him into a hero and a living martyr among Igbos. And the young man so far, understands the game. Since he was released on bail, he has been taunting the Nigerian state and government. Daily, he dares those who granted him bail and he laughs at the conditions they gave him. He associates with more than 10 persons. He moves about Igboland freely, like a spirit. He addresses rallies and grants interviews. He has been busy issuing statements. On May 30, he ordered a shut-down of the entire South Eastern region and that order was obeyed not only in the South East but also in parts of the South-South, and Abuja. Nnamdi Kanu who probably barely struggled to survive as a black man in Europe, has been turned by the Nigerian Government into a credible apostle of a resurgent Biafran revolution. The other day when he held a meeting in Umuahia, over 5,000 persons trooped to his compound. Kanu is a master of symbolism. He is exploiting the Jewish symbol: to signal to the world that Igbos are being persecuted. He visits symbolic sites of the civil war to prick the injured part of the Igbo consciousness and mobilise the people. His pre-eminence is a comment on the quality of the state and its strategic intelligence system. If he succeeds with his threats, we should know those to blame. A few days ago, someone on social media further compared him to Jesus Christ and described him as the true saviour. Every revolutionary in history graduates from ordinariness to being messianic, propelled by opiumized endorsement. Nnamdi Kanu is certainly capable of doing more damage to the system than the MASSOB, OPC, and such other groups, and should he push things further, he could ignite a crisis worse than Boko Haram. My gut feeling is that some people in certain places are beginning to realize this and that is why Nnamdi Kanu out of detention appears untouchable; it is the reason he is able to dare the state, and ridicule his bail conditions. The lesson here is obvious enough: the brazen use of force and intimidation to deal with certain situations could create really bad unintended consequences. The Federal Government under Acting President Yemi Osinbajo has been holding meetings with key stakeholders within the Federation. The consultations are in order, but the Acting President is yet to talk to the right people. He is talking to people who carry their international passports in their pockets because they don’t know what tomorrow promises in Nigeria. He is consulting persons whose family members are mostly one-leg-in-one-leg-out Nigerians; many of them in fact have dual nationality. Nigeria is their trading post, the place where they make the money they and their children spend in Dubai, UK and wherever. The people the Federal Government should be talking to are the angry Igbo youths who now kneel down to greet Nnamdi Kanu and call him their god, the Arewa youths who have told the Igbos to get out of Nigeria and get away, and who have called the Yoruba names while further insisting that they are not afraid of the Nigerian government arresting them. The people to talk to are the leaders of the various other groups who are taking sides. Leaders of the Middle Belt and the South South are holding talks; some Yorubas are planning to hold theirs this week in Ibadan. Draw the map of the emerging rhetoric in Nigeria today; what you have is a divided country. The scenario is so painfully reminiscent of the early 60s. Every Nigerian leader since the civil war has boasted that he would not preside over the dismemberment of Nigeria. Some of those leaders have suddenly started saying restructuring is the answer, how nice – the same restructuring they never wanted and that they didn’t want as at 2015. Crisis management is an important part of nation-building. We have failed to manage most of the crises that have befallen our nation, on a sustainable basis, and that is why every proverbial snake that is killed suddenly resurrects. It is the reason we have produced a country where the population of the aggrieved appears to be growing daily. It is the reason Nnamdi Kanu and his followers have become the fish-bone in the throat of government. As things stand, there is no stronger voice in Igboland today than that of Nnamdi Kanu. The Igbo elites and the self-styled political leaders of the East know that Kanu is more influential than all of them put together. How many among them can command a willing crowd of 5, 000 to their doorsteps? The politicians hire crowds, but the crowds go to Kanu and obey him. The ancillary challenge however, is the worsening trend of ethnic polarisation – with regards to the control of power at the centre. I describe this as the conflict between the na-my-brother-dey-there syndrome and the no-be-my-brother reactive tendency. It used to be the case in this country up till the time President Olusegun Obasanjo left in 2007, that whoever held power in Abuja was openly and strongly supported by other Nigerians, regardless of ethnicity or religion. Obasanjo got more support from outside Yorubaland, and probably felt more reassured by persons from outside his own ethnic group and religion. With the death of President Yar’Adua in office, ethnicity, a long-standing threat to Nigerian unity became more potent. The Boko Haram, with its base in the Northern part of the country gave the succeeding Jonathan administration hell. With the emergence of President Muhammadu Buhari in 2015, the same Boko Haram suddenly became tame. Curiously, the militants of the South East and the South South, who had been significantly quiet during the Jonathan years, also became more vocal and calls for secession became more strident the moment their kinsman and in-law left office. By the same token, the conflict between pastoralists and farmers, an old problem, became worse, with the former asserting themselves more arrogantly for no reason other than that they are sure of better protection under a central government controlled by the North. Our point: Nigeria’s stability should not be so dependent on the whims and caprices of ethnic gladiators. No Nigerian President should be at the mercy of ethnic or religious politics, now or in the future. The debate about restructuring and renegotiations is therefore useful and most relevant. It is indeed urgent if we must take the wind out of the sail of the secessionists and nihilists. Those who have always blocked or hijacked the people’s conference must by now realize that we are close to “the point of no return” on a review and rephrasing of the Nigerian question, in order to make every Nigerian feel a part of the Nigerian project. The alternative in all possible shapes appears ominous.